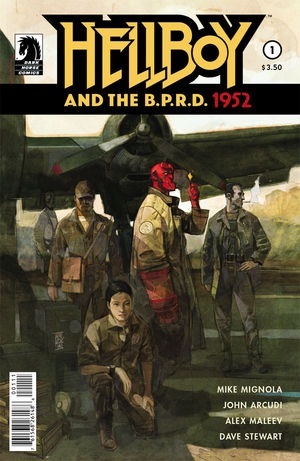 Comic Pick of the Week: Hellboy & The B.P.R.D. #1! I have been looking forward to Hellboy and The BPRD #1 for quite some time now and this first issue was a real treat for any fan. I’ve missed Hellboy (and Abe Sapien for that matter) in the pages of BPRD now for quite sometime and this series is giving us a first look at his first adventure ever with the team! Mignola and John Arcudi (one of my favorite writers) team up again this time with Alex Maleev making this an epic event. I’ve been in love with Maleev’s brilliant artwork since his legendary long run on Daredevil he did years ago with Brian Michael Bendis. He’s easily one of my favorite modern comic book artists and his work on this book thus far doesn’t disappoint. 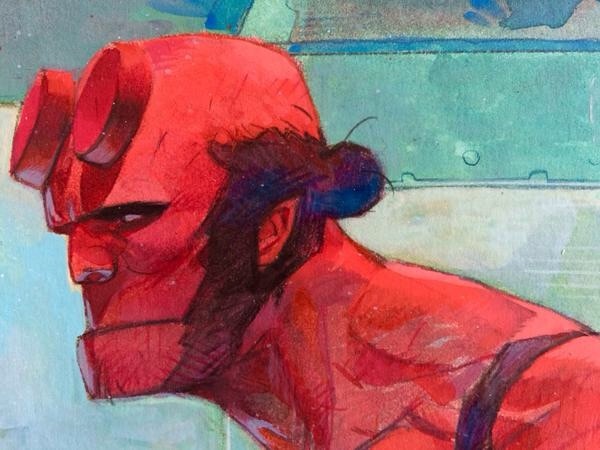 This is also the perfect time for anyone who was thinking about getting into the Hellboy universe to get on board, as the universe is at this point pretty vast. This shows us what the red devil was like on his first paranormal outing with a team. The story is a simple premise thus far. Professor Trevor Bruttenholm assembles a team of human BPRD agents to take a younger Hellboy on a mission to the jungles of Brazil to investigate a series of over thirty murders. They head out to a small village where the townsfolk claim a strange creature has been blamed. The team, a bit reluctant about bringing Hellboy along find refuge there near a huge ominous castle. This is a great set up issue, with awesome artwork, creepy locales and a cool mystery brewing. This is the kind of book I love. The series is planned to cover each year, in 2015 covering 1953 and so on. 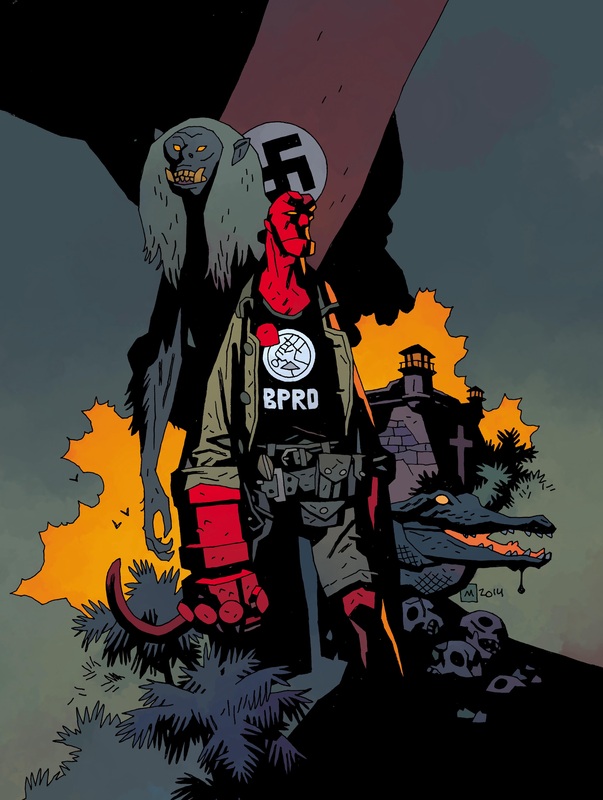 I can’t wait to see who we meet along the way as the BPRD fills it’s ranks with likely more odd characters, so buy this book and maybe we’ll get that third Hellboy flick we have been waiting for!